Welcome To Vernal Magazine's Blog: New Music: L-Dafar - "The Message"
New Music: L-Dafar - "The Message"
Upcoming rap artiste, student and potential producer, L-Dafar (Dayo Faniyan), has impressed a lot of listeners recently with the songs he has released. His major songs, Oghene ft Kesh and Johnny Jayce (prod by Kiddominant) and Lera ft Jarmeu did justice among his fans. The talented rapper recently dropped a hip hop track titled "The Message" which was also produced by him. 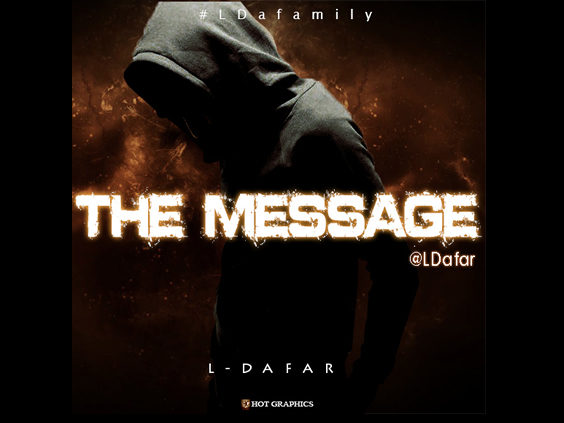 "The Message" by L-Dafar and Produced By L-Dafar. Why You Can't Stop Staring At Her Nails.